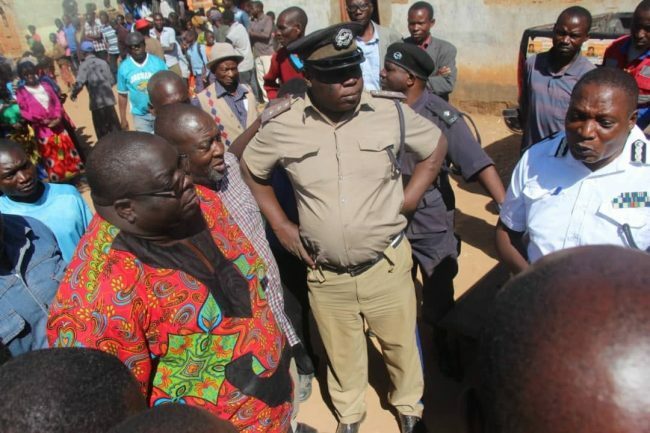 The police service in the newly created Chifunabuli District have refused NDC consultant Chishimba Kambwili from holding a public meeting in the area. This is ahead of this Thursdays Council chairperson local government elections. Police have told Dr. Kambwili that they have received specific instructions to bar him from interacting with the electorate in Chifunabuli. There was a near riot in the newly created district as residents refused to be dispersed by police at the venue for the rally ground. Hundreds of Chifunabuli residents had initially given the NDC leader a thunderous welcome as he entered the area. Given Chola is the NDC candidate in this Thursdays polls. NDC Secretary General Mwenya Musenge is expected to issue a comprehensive statement over the matter. The refusal to hold free campaign meetings is a clear indication that Zambia is slowly drifting into a police state. Dissenting opinions are cruelly gaged in the once shinning democratic nation.